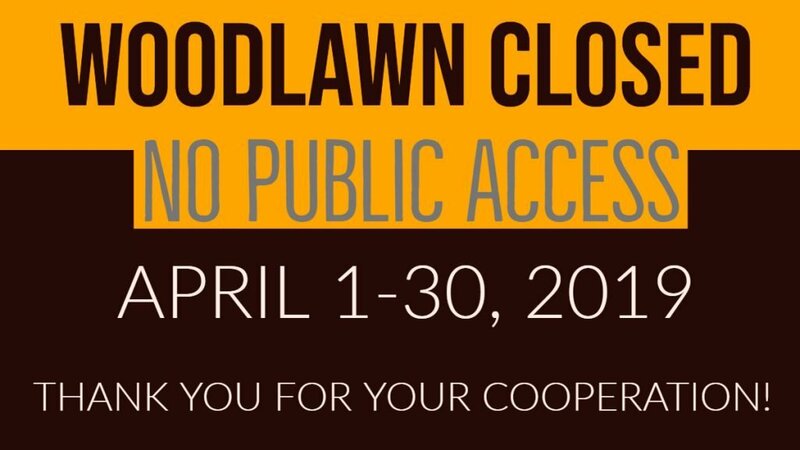 ELLSWORTH: Woodlawn, including the grounds, trails and Black House will be completely closed to the public, temporarily, from April 1-30, 2019 to allow contractors to continue progress on the utility upgrade project. Signage will be placed at the Surry Road (Rt. 172) entrances during the closure. The installation of the new utilities is the first phase of the project to transform the Carriage Barn into an engaging, year-round space for student programs, large functions, changing exhibitions and other public programs. The upgrades also benefit The Black House with improved fire safety and security.